Alimony in the United States is often misunderstood by the average person. High profile celebrity divorces and other well publicized splits have created a largely false impression regarding how alimony is handled. Not every person is entitled to alimony, and different states treat alimony differently. It is important to understand alimony if you or someone you know is going through a divorce or thinking about separating from a spouse. Understanding alimony in Florida can help you avoid making potentially costly mistakes. Individuals getting a divorce who are interested in receiving alimony often believe that alimony is automatically part of the divorce process. That misconception is partially fueled by highly publicized alimony arrangements made between celebrities in situations that are not comparable to the average divorce. 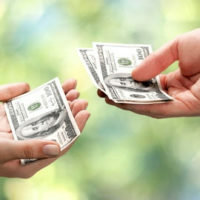 Alimony is becoming increasingly more complicated and not always a matter of the richer spouse compensating their former spouse. Any person who believes they are entitled to alimony must make a request that will be presented before the judge handling their divorce case. In Florida, alimony is not routinely awarded in every divorce. Currently, Florida only takes adultery into account when it comes to determining or placing fault in a divorce case concerning alimony. There are multiple factors that are taken into account by the court when alimony is requested. The length of marriage plays a large role in determining alimony with a longer marriage being seen more favorably. Sources of income for both parties are reviewed along with the earning capacities of both parties. A spouse who does not have a formal education or the ability to obtain employment are more likely to have alimony awarded than a spouse with multiple degrees, a vocation, and the ability to quickly find professional employment. Children also play an important role in determining if alimony is appropriate and how much alimony should be awarded. The work a parent puts into raising children, maintaining a home, and supporting the career of the working spouse is taken into account. Also, the overall mental and physical health of both parties along with their children are considered. The standard of living enjoyed by all parties during the marriage also plays a critical role in determining alimony. If alimony is awarded, there are four different types of alimony that may be granted during a divorce in Florida. The judge might even award multiple types of alimony if they feel the situation calls for it. Permanent alimony is long term financial assistance that is typically associated with marriages lasting more than 17 years and is the type of alimony most are familiar with. Bridge-the-gap, durational, and rehabilitative alimonies are all short term forms of alimony that are designed to provide temporary financial assistance to a spouse. Bridge-the-gap is designed to aid the divorce transition (typically two years), durational is another form of temporary support, and rehabilitative alimony supports a spouse until they can become self-sufficient. If you are going through a divorce and have questions about alimony, the Mander Law Group can help. Our skilled alimony attorneys can provide you with assistance during this stressful period. Conveniently located in Dade City and Zephyrhills, call us today at 352-567-0411 (Dade City office) or 813-948-1422 (Zephyrhills office) to schedule your free consultation.